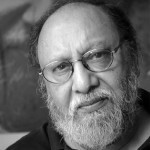 Ashis Nandy began as a sociologist and clinical psychologist but has, over the years, strayed into areas outside formal social sciences and normal academic concerns. His research interests now centre on the political psychology of violence, cultures of knowledge, utopias and visions, human potentialities, and futures. Presently he is working on genocide. The running themes in his work have been his concern and respect for marginalized categories and systems of knowledge and a robust scepticism towards expert-driven, packaged, professional solutions to human problems. His work seeks to create more space for concepts and categories thrown up by the experiences of Southern cultures and the algorithm of everyday life of ordinary citizens. Nandy is a Fellow of the Centre for the Study of Developing Societies, Delhi, Distinguished Fellow at the Institute of Postcolonial Studies, Melbourne, and a member of the Global Scientific Committee for Higher Education (UNESCO). Over the years, he has been also associated with initiatives such as the Centre for Ecology and Food Security, New Delhi, People’s Union of Civil Liberties, the Committee for Cultural Choices and Global Futures, Delhi, Commonwealth Human Rights Initiative, the Transnational Foundation for Peace and Future Research, Stockholm, and the Toda Institute of Global Peace and Policy Research. Nandy’s books include Alternative Science, At the Edge of Psychology, The Intimate Enemy, The Tao of Cricket, The Illegitimacy of Nationalism, The Savage Freud and Other Essays in Possible and Retrievable Selves, An Ambiguous Journey to the City, The Romance of the State and the Fate of Dissent in the Tropics, Time Warps Time Treks, and Traditions, Tyranny and Utopias. He is also a co-author of The Blinded Eye: 500 Years of Christopher Columbus and Creating a Nationality; edited Science, Hegemony and Violence and The Secret Politics of our Desires; and co-edited The Multiverse of Democracy, The Future of Knowledge and Culture, and Fingerprinting Popular Culture. Oxford University Press has brought out an omnibus edition of Nandy’s works consisting of Exiled at Home, Return from Exile and A Very Popular Exile as well as a selection of his papers, The Bonfire of Creeds. OUP has also published two books that supply an overview of his intellectual world—Vinay Lal (ed. ), Dissenting Knowledges, Open Futures: The Multiple Selves and Strange Destinations of Ashis Nandy and Ramin Jahanbegloo, Talking India: Conversations with Ashis Nandy. Nandy has written unofficial reports on religious and ethnic violence and observed, on behalf of South Asian, nongovernmental initiatives, of Parliamentary elections in Bangladesh, Pakistan and India. He has also been a Member of the Tribunal in the Women’s Courts on Victims of Development (1994) and on Racism (2001), organized by Asian Women’s Human Rights Commission; and a Member of the Jury in the Public Hearing on the Sardar Sarovar Project, organized by the Indian People’s Tribunal on Environment and Human Rights (2000). This collection gives a glimpse of Nandy’s abiding concerns and his attempts to tell stories of communities and cultures through life histories of individuals, often weaving them around unnoticed events and humble cultural artefacts.